As The Vest Project continues, we take a look at another aspect of why three-piece crew suits were utilized. 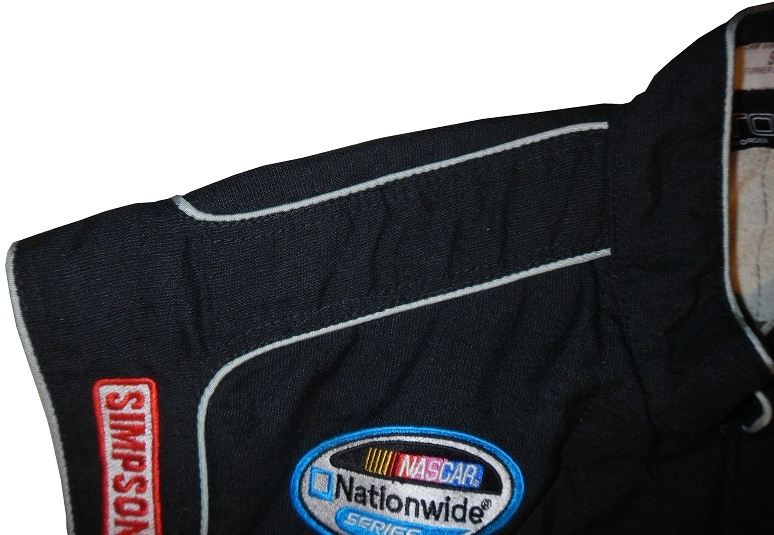 The three piece firesuit is a great way for teams to give shout-outs to sponsors, without incurring needless cost. Other times, it gives pit crews the ability to move from one driver to another without having to add a new sponsor-specific vest to the team. A perfect example is this Turner-Scott motorsports example circa 2013-2014, which was used in the Nationwide Series. If this vest was only used for the #30 team, it would have been used by crews for Nelson Piquet, Jr. for all of the 2013, and for Danica Patrick for the Daytona race in 2014. 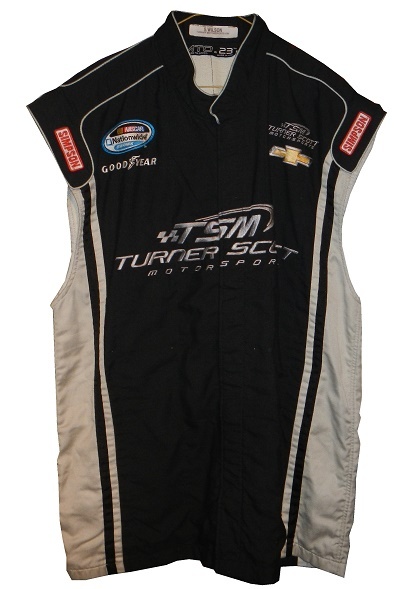 However, since Turner-Scott Motorsports ran 8 different drivers in 2013, and 4 different drivers in 2014, it isn’t out of the question that the vest was used on more than one team. It’s also possible that the vest was used by more than one crew member. If one crew member leaves, and a new crew member was brought on, and the new crew member can wear the vest, the new crew member would be issued the vest. 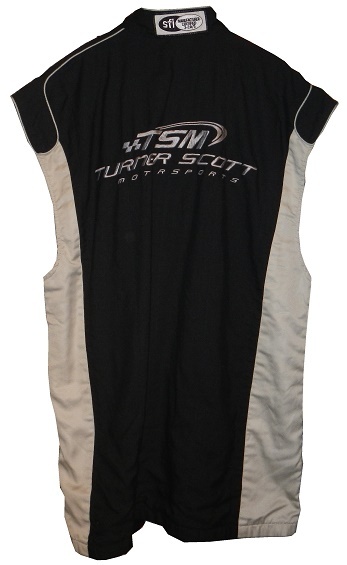 This vest is from Turner-Scott Motorsports, which would mean it was used from 2013 to 2014, as Harry Scott Jr. increased his stake in the team before the 2013 season. 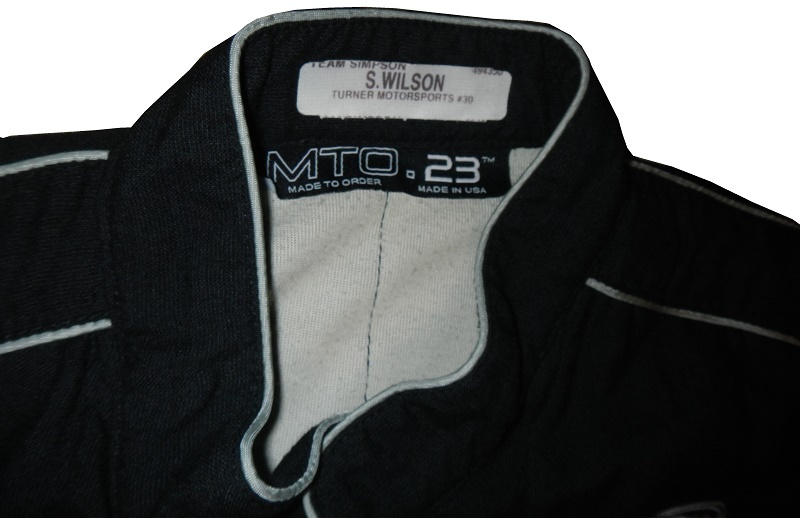 It was issued to a crew member named S. WILSON as indicated by the tag in the cowl. 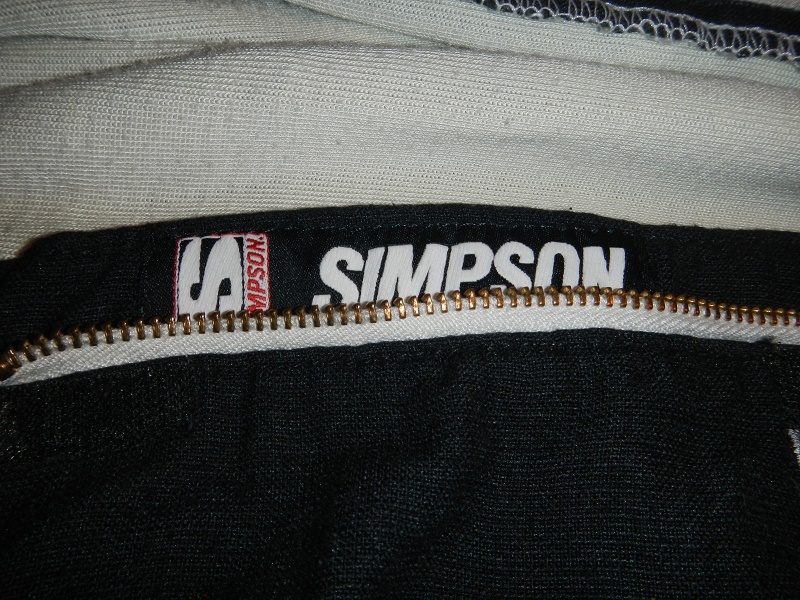 Also, by this point, Simpson had joined the three-piece revolution, and had joined Turner-Scott, hence the cowl tag. The logo placement is also meant to be as vague as possible. The collar has no logos to speak of. 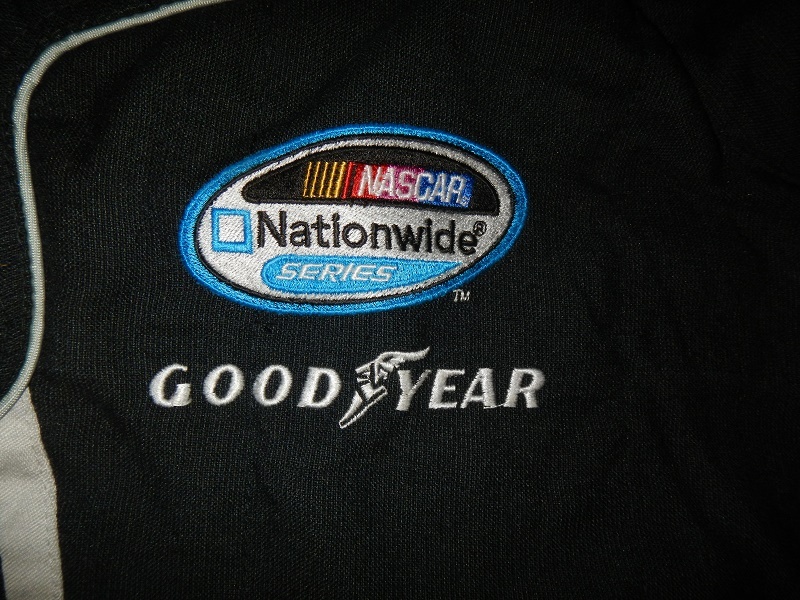 The front has NASCAR NATIONWIDE SERIES and GOODYEAR LOGOS on the right chest, and CHEVY and a rather pointless TURNER-SCOTT MOTORSPORTS logo on the left chest. 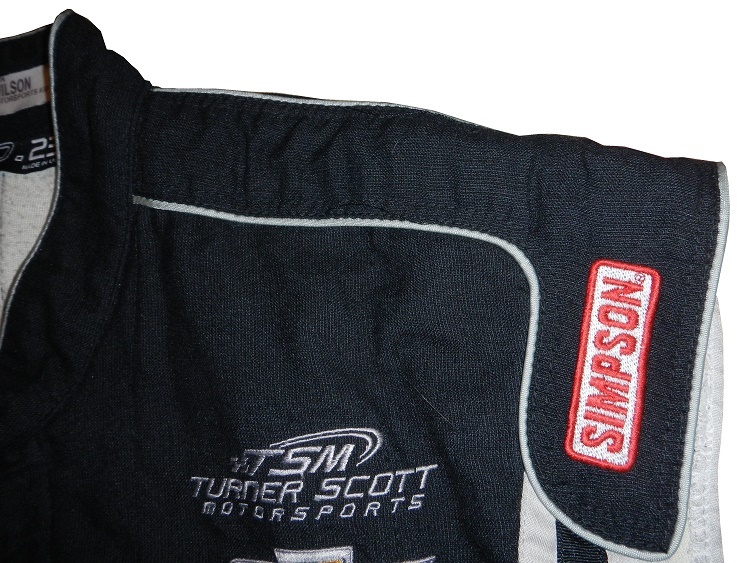 The large TURNER-SCOTT MOTORSPORTS logo on the front of the suit makes the smaller suit on the chest pointless. 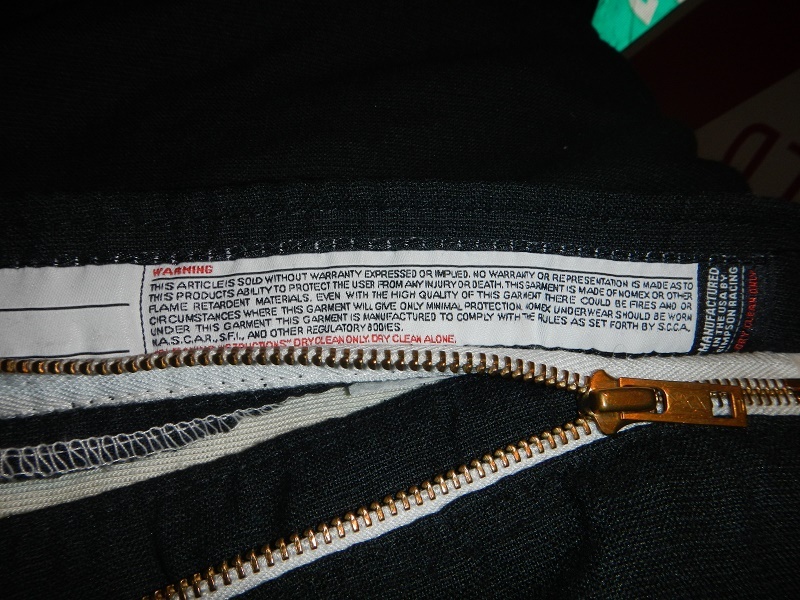 The new Simpson warranty label is present underneath the zipper. 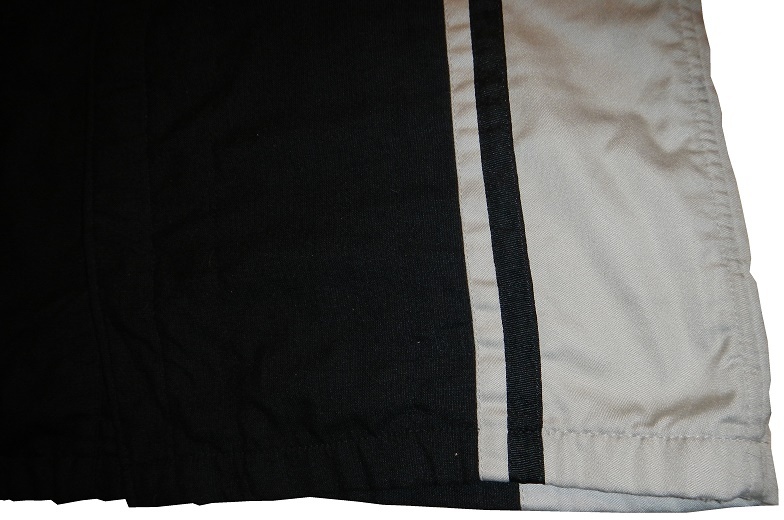 Unlike the Impact examples, Simpson didn’t utilize the comfort straps on the hem. 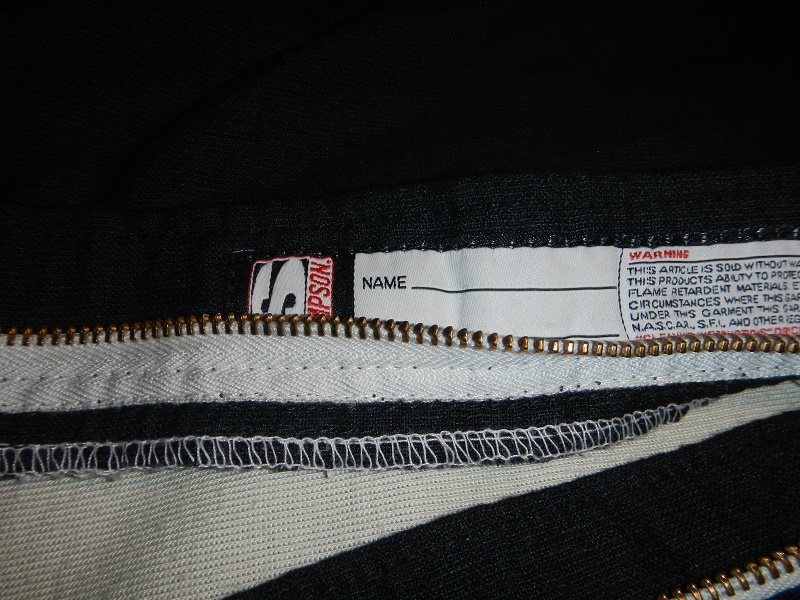 The bottom hem is just a standard hem. 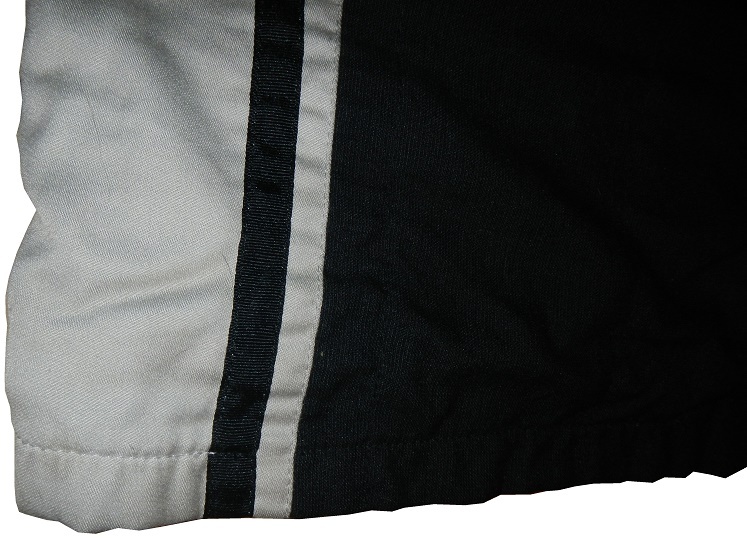 The shoulders have no design on the epaulets, as well as the standard vest sleeves. The back has some really light wear. 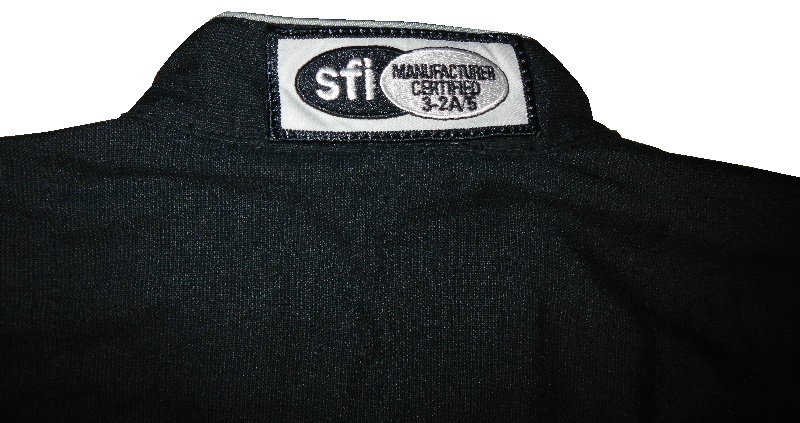 Unlike Impact examples, Simpson vests have the SFI certification tag in the cowl. 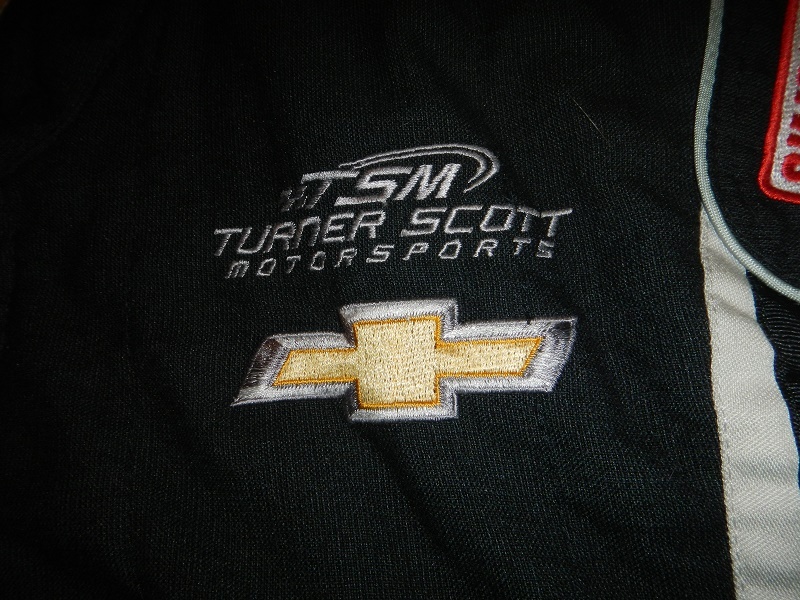 The same Turner-Scott Motorsports logo that is on the front, is also present on the rear. When it comes to three-piece firesuits, NASCAR’s biggest customer for these vests were Braun Racing, which was absorbed into Turner Motorsports, which then became Turner-Scott Motorsports. We’ll look at an earlier example from Turner Motorsports, which was sponsored by a tasty beverage next week.